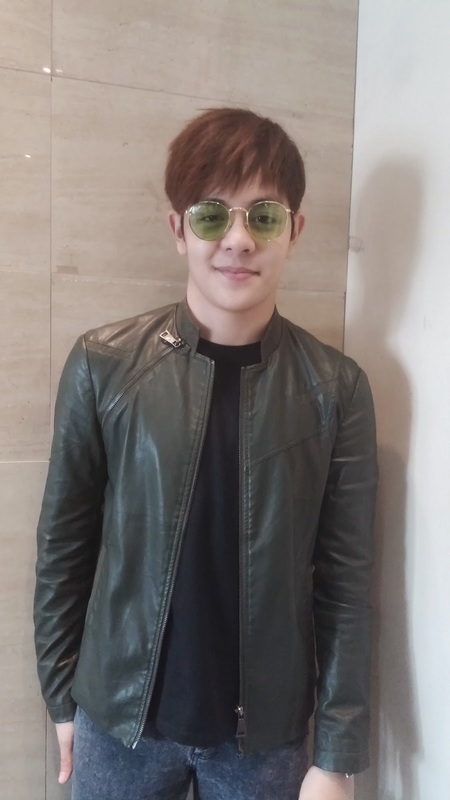 When I had a glimpse of Julian Trono during the blogger's conference for his latest single Wiki Me, I thought to myself, k-pop? That was his vibe and looks like a legit Korean Artist, and it suits him well not trying hard plus the fact that he just came back from Korea. His latest single Wiki Me is now out and the music video is now being played on Myx. We asked about his Korea experience and he said it didn't feel like he was working because he enjoyed his stay there and was very much accepted by the fans. But of course an interview will never be complete without some personal questions especially on the current status of his heart. Yes he is currently single and very much available but, we were shocked to know that if ever, he prefers someone older that him, maybe around 3 to 5 years from his age. We asked why and he said maybe because he wanted someone who is mature. Oh well, we all have preferences and if that is waht he wants, let's just give it to this cutie Korean looking young man. His album is in the works and if given the chance to conceptualize his own, Julian said he wanted every single song to have a story, not just to have a song but something with a deeper meaning. 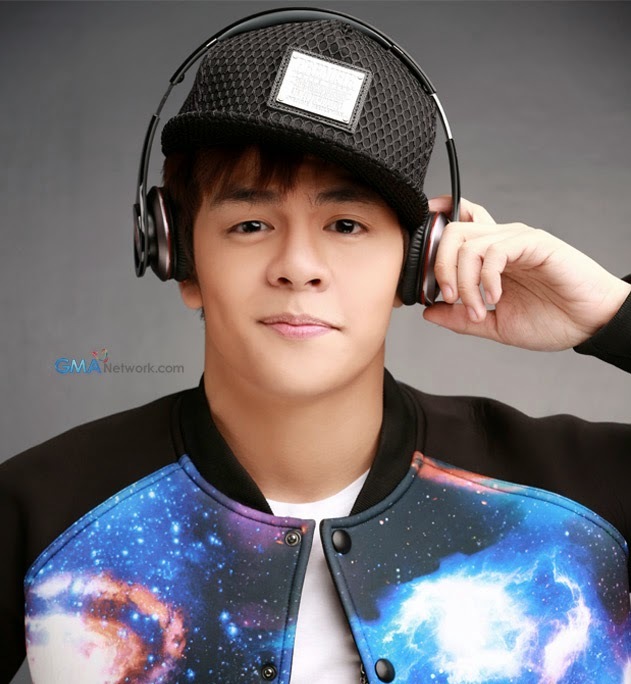 Watch out for Julian Trono when he conquers the music scene one step at a time. 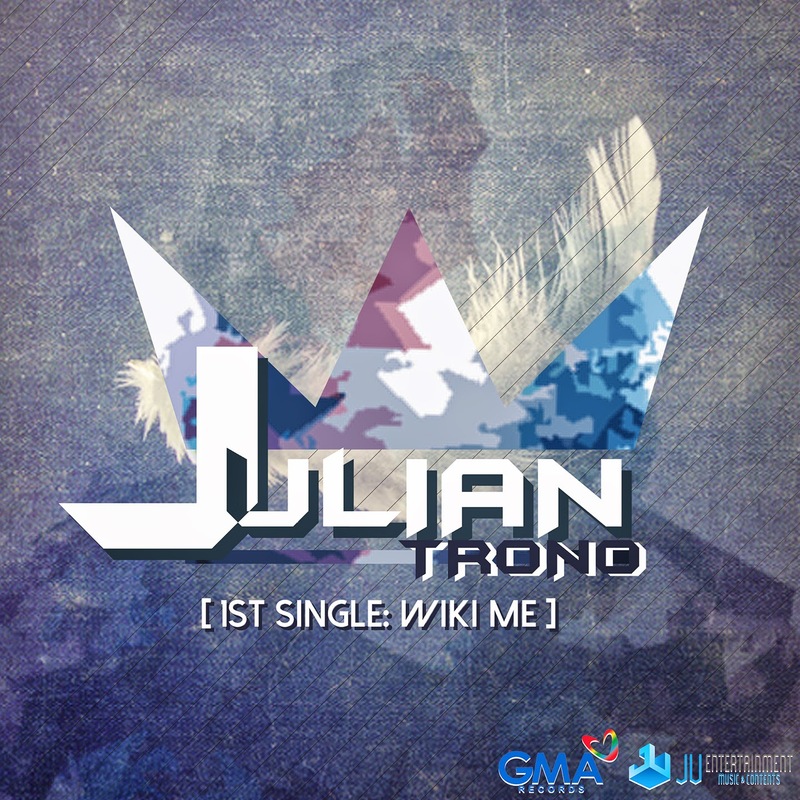 Julian Trono and his Wiki Me Single is now out! Hurrah! 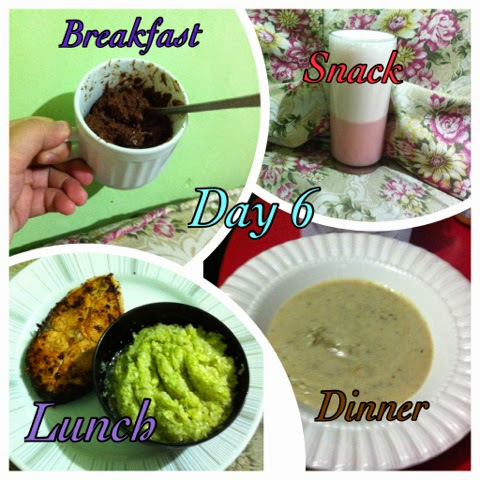 Finally reached the first week under the Ideal Protein Diet Program of Diana Stalder, it was a tough week to start with since many changes and realizations have occurred, and I'm gonna share it with you. - This is by far the biggest change I embraced in my whole life. Getting up early to have my IP breakfast and then having the recommended water intake all through out the day, snacks that are appropriate, lunch that is in portion and very light dinner. The IP Diet created a new me in an instant, it also helped that the food from the IP menu were mostly delicious, my husband said so too since he would usually ask to taste them as well. I am loving this new me. - Here comes the revelation, I bought a weighing scale for my personal use and to be able to monitor my weight loss, I was happy to see that it read 7 lbs less of my original weight on my 6th day. When I went on to the Diana Stalder clinic on my 7th day and did the official weigh in, I was upset that it only read 5 lbs., I was totally down, although I trimmed down 2 inches on my waist, 1 inch on both my thighs, and I think 1 inch on my left arm, I was still uncomfortable, maybe because we (my coach) were aiming for 10lbs on my fist week. On my way home I am still not feeling good of myself, how come it's just 5, upon reaching our house I immediately took my weighing scale and did it again, and still the result was the same 7lbs, for a few minutes I sat down and tried to clear my emotions. And then I hear myself talking to myself, like hey 5lbs isn't so bad, this is the fastest weight loss I had in so many years and it happened in just a week, it may not be the goal we were expecting but still a pat on the back for being able to remove rice, and following the IP program. Maybe my body is still adjusting and of course with my age I think my metabolism was kinda confused lol! But I was still excited for my second week, so onward we go! - As my husband and I observed, I am slowly having my curve on my waist part, and the layered fats on my back shrink a bit, the husband made a major comment that my double chin is not that double anymore too, my neck is also now longer and dimples a little bit more visible and of course I feel lighter. 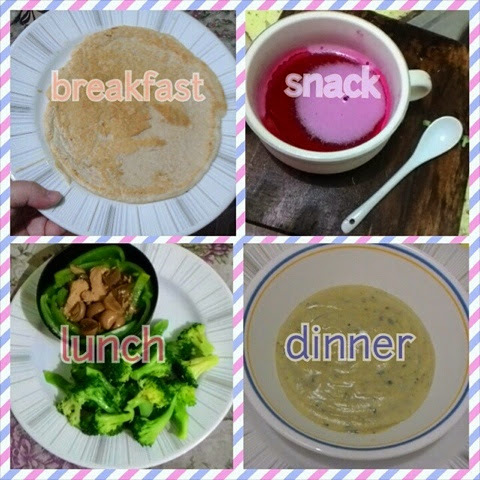 All of these changes on my first week, I am still excited on the following weeks and the Ideal Protein Food I am about to discover, and of course finding new ways on how to prepare my vegetables, I am keeping the faith that this change is not just temporary and that I may be able to carry this throughout my program. Also as a blogger I am mostly invited to different events, and attending them means there will be food served, imagine me having 3 events during the day and eating all the food that is served, it's just wow! But as much as possible this time I only choose events that are so important or has been my love for many years now and it is ideal that the schedule is during lunch time at least I could pick from their buffet but of course with the proper portioning and having my lettuce inside my bag. My blogger friends are also very supportive, they eat everything else on my plate. I am happy that I can say no to desserts and other food that is not on my list, night events are not welcome for now so I won't have the excuse of eating just because I am tired, I still feel hungry during the night time, especially when I know there is food available for me to consume but I don't want to mess this opportunity, not now. It is indeed a major self discipline, in this world that I am in, food is readily available, but when I think about my health, the need of having a baby soon and the future, I think I am on the right path, I just hope people surrounding me won't give up on me, because I don't want to give up on this one either. Cheers to my second week! Love! Love! Love! - First time to have this, it says on the packaging that it could be placed inside the refrigerator for like 30 min so it could be like an icecream. I was able to achieve maybe 5 min, yeah it was like icecream pudding type but I didn't enjoy it much and I don't know why although it is delicious but maybe because I think it lacks flavoring. Lunch: Fried Fish, yes fried is allowed as long as olive oil is uses to cook it. I have shreded lettuce as my side dish. Yum! - This is love! I thought it will cook like pancake, but oh no, the texture was like a regular scrambled egg, this is so tasty and has herbs and spices. 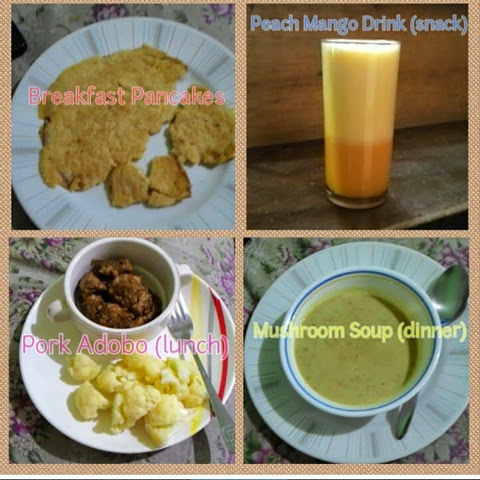 This is the best Ideal Protein (IP) food to date. Note: Funny thing I did was eat it slowly, making every flavour cling to my taste buds. - Chicken skin is a no no and this time I am eating the breast part and learned to appreciate its own goodness. - I don't personally eat cereals for breakfast before because I feel that i need to finish it immediately to be able to enjoy the crunch of the cereals. 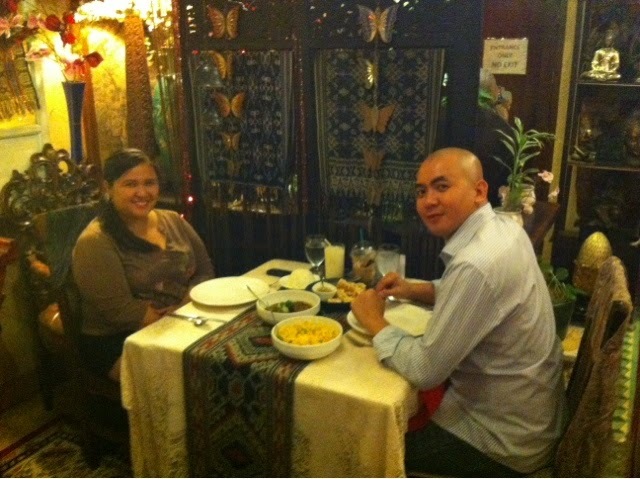 But this one ia different, I was actually able to enjoy my food without the hurry, crunch and yum in one. - I had this on Day 2, and I think I am starting to get used to it, parang normal na lang sya na juice, not minding the parang may bitter na after taste. - I was afraid this won't click with my tastebuds, but surprisingly it was sooo good (emphasis in the o's lol!) that moment na talagang sinimot ko sya haha! - This might be my favorite snack pack to date (as if naka weeks na sa program chos!) ang sarap kasi, very flavourful and it is jelly, hello, on a diet pero may jelly is surely a treat, nakaka happy! Naki tikim si mister, umulit pa ulit, nasarapan din sya haha. - I do not like the breast part period. Fave ko yung thigh, wings, legs, the skin (malutong na malutong!) and almost everything except te breast part, but na appreciate ko rin sya, sauteed with a bit of oyster sauce plus bell peppers and brocolli (my substitute for rice), nakaka busog din sya, although I think I am allowed to have the leg or thigh part so long as the skin is out, bye for now mr. chicken skin. - I am not familiar of what a leek taste like, not even sure if it is a vegetable or a fruit haha ang fail ko dun! So afraid ang lola nyo to eat that, what is that?! But I was wrong, it was yummy haha yes purp yummy at delicious ang sinasabi ko, but maybe because mahilig din talaga ako sa veggies, hello I am a Baguio girl para saan pa at lumaki akong napapaligiran ng sariwang mga gulay, maybe that's why din this diet program made me say yes, it is healthy and so far di pa naman ako ginigutom neto. So yeah so ar so good! 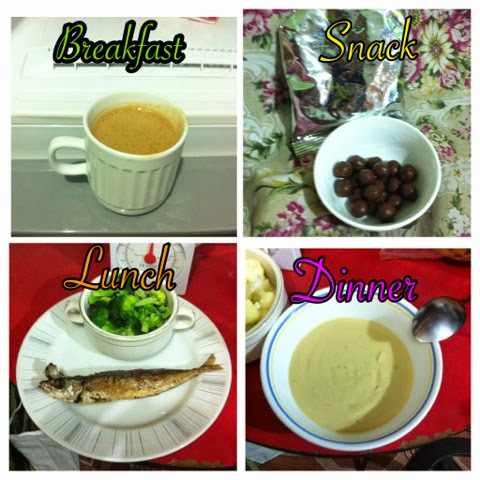 What I love about this food plan is that, my goal is not to be as thin as yung mga artista, I jist need to shed off those excess baby fats (medyo madami sila) and reach the right weight for my body and height, and then I think maintain na lang, so hopefully and please pray for me na makayanan ko pa the next sessions and feel free to ask or share your thoughts about this journey of mine. Tips: Naka 3rd day pa lang may tips na! - I cook dinner for my husband, so if my scheduled lunch for the next day is pork, yun ang putahe ko and then nagseset aside ako for myself para init na lang and just enough yung portioning for my lunch. Naka tipid pa, then yung veggies madali na lang coz you can blanch, boil or steam and ok na. - If you have a water bottle with measurements in milliliters (ml) and ounce (oz) better use it to measure your water intake, and water for your packed DS food. As for me, I bought one, less than a hundred but very useful. Thank you for reading and joining me in this journey. - This also smelled sooo good! Refreshing juice and a bit maasim but it was fine, and still yummy! - Surprisingly, eventhough there is kanin in the rice cooker, di ako na bother, i just ate my perfectly seasoned adobo (maayos un timpla ko kung kelan hindi na muna ako nagkakanin, kaloka!) and blanched veggies. - This delicious, I super loved it way over the chicken soup on my first day, or mahilig din talaga ako sa mushrooms even before pa.
My Day 2 is kinda ok lang, ok medyo disappointed sa pancake, ang bango kasi and then, ok move on! And oh I decided to quarantine myself for at least a week, no events muna for me so I will be able to adjust and yah know tukso layuan mo ako muna ang peg lol! Nakakaloka! This is it! Gusto ko na to! 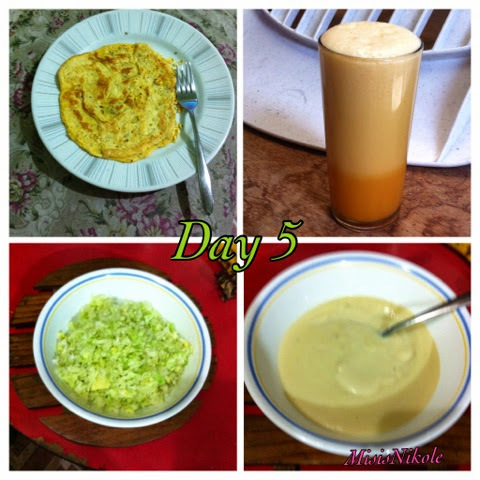 Those were my words when I was introduced to this programme, the Diana Stalder Ideal Protein Diet. Scared ako at first kasi baka hindi ko keri at akala ko rin totally walang lafang. Also syempre dahil gusto na rin namin magka baby like hello I am 30-ish na haha! Bit anyway syempre I wanted to be healthy rin for myself diba kawawa naman baby kung darating na sya eh sakit sakitan naman ang nanay nya. So anyway super mega preparation ako before ako nag full go na akapin ang lifestyle na ito, kailangan kaya kong panagutan. FYI: I always loved my body, my family loves me, my friends supports me and my mister accepted me for who I am. Pero hindi ako magpapa slim down just because gusto ko lumevel kanila kim chiu at kathryn bernardo ganyan, hanggang dun lang ako sa ideal weight na dapat pasok sa napaka cute kong height. I was told over and over ng doctor ko na i need to trim down para magka baby na rin, nung una deadma, pero this time and sana hindi pa late na ayusin ang eating habits ko and maybe acceptance na hindi lang dapat puro ganda at sense of humor, dapat healthy rin para mas happy haha tama o mali? Tama! At sa acceptance nito kaagapay ang pag accept (puro accept) ng challenge na ito. Hindi ito madali as in hindi! Dahil ang motto ko noon "kanin lang ang tunay na pagkain" yun talaga ang ni let go ko, pati kung ano ano'ng excuses na bka mahilo ako at walang magbalak magbuhat sakin pra hatakin na lang ako para itabi sa side walk haha! This is me, ito na siguro pinaka comfortable kong kwento dito sa blog ko yung makulit na ako, yung totoong estado ng buhay ko, saka na ulit ang englishan for now enjoy reading sana may nagbabasa nga netong pagdadaanan ko and wish me luck! Bawal mag tag ng mga #food photos sa IG ha! Hoooy wag ganun hahaha! 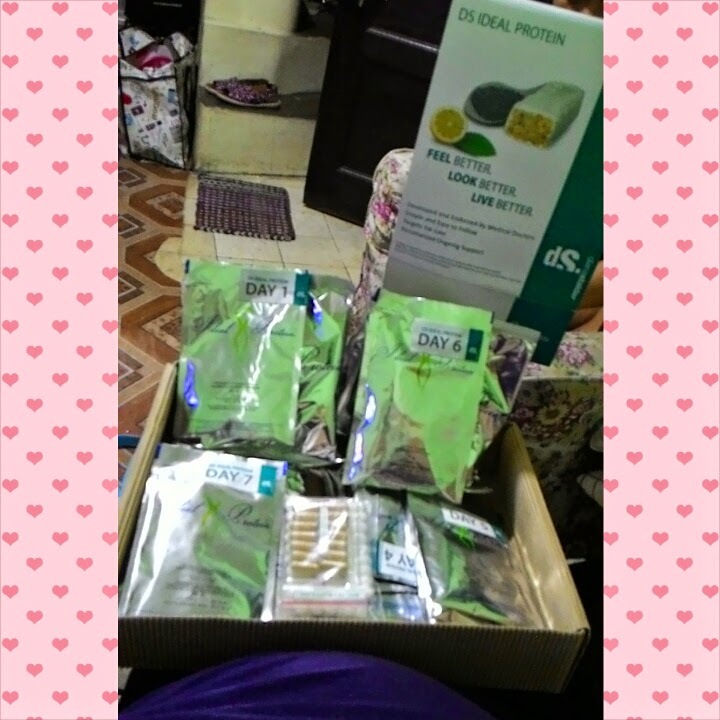 My Diana Stalder Journey | Challenge Accepted! This is the hardest first day of my entire life lol! 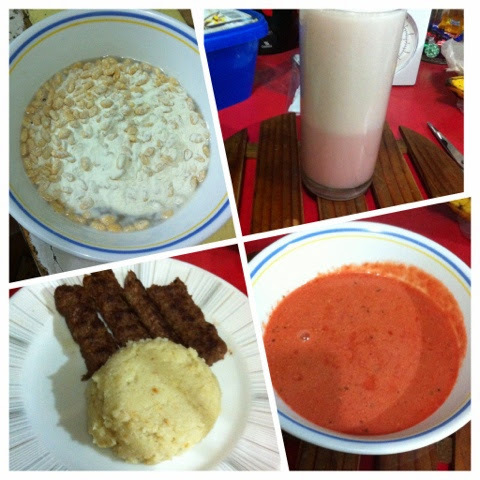 I am a heavy breakfast eater; you know the likes of sinangag, hotdogs or longganisa or tocino and egg. But then I have to do this. The cappuccino was tasty; it’s like a regular coffee, just a bit different on the after taste, but still yummy. My water intake must be continuous, like 1 glass per hour, and I don’t easily feel hungry and that’s good but the number of my trip to the comfort room to pee doubled. But it actually felt healthy haha! I had 5oz of fish and 2 cups of broccoli, at first I thought it won’t be enough but I was wrong, I enjoyed my meal and was full as if I had rice. This tastes like real chicken soup! Creamy, yummy and very tasty, I am actually surprised that all the food on my first day was just like normal, less the rice. I was expecting to have a major headache because I have a history of migraine every time I am hungry, but today was different, everything was normal despite the “no rice” intake. There were times that I feel like eating some bread, but I talked myself out of that thought. I am extremely happy that I had the urge to fight my cravings, to not create excuses to cheat, and to just be contented in smelling the aroma of the adobo I cooked for my husbands’ dinner. I have more days to go but I am proud I survived day 1, even if I had to stay in our bedroom while the husband was eating dinner; no to temptation!